Central College has announced that Class of 1964 alum and Professor at the City University of New York James Muyskens will speak at commencement this year. 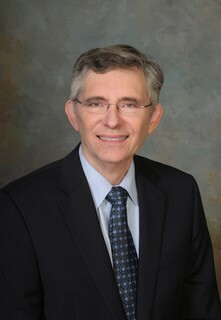 Muyskens served as president of Queens College from 2002-2013, leading them in initiatives such as adding new programs and updating the college’s undergraduate general education curriculum. During his tenure, Queen’s underwent a transformation as Muyskens led initiatives including opening the college’s first residence hall, significant improvements in environmentally-friendly development, and creating new programs in business administration, neuroscience, graphic design, bioinformatics, and computer science. He received an honorary degree from Central in 1989 and has served on the college’s National Advisory Council. Muyskens majored in philosophy at Central, and has written two books. Central College Commencement is Saturday, May 19.